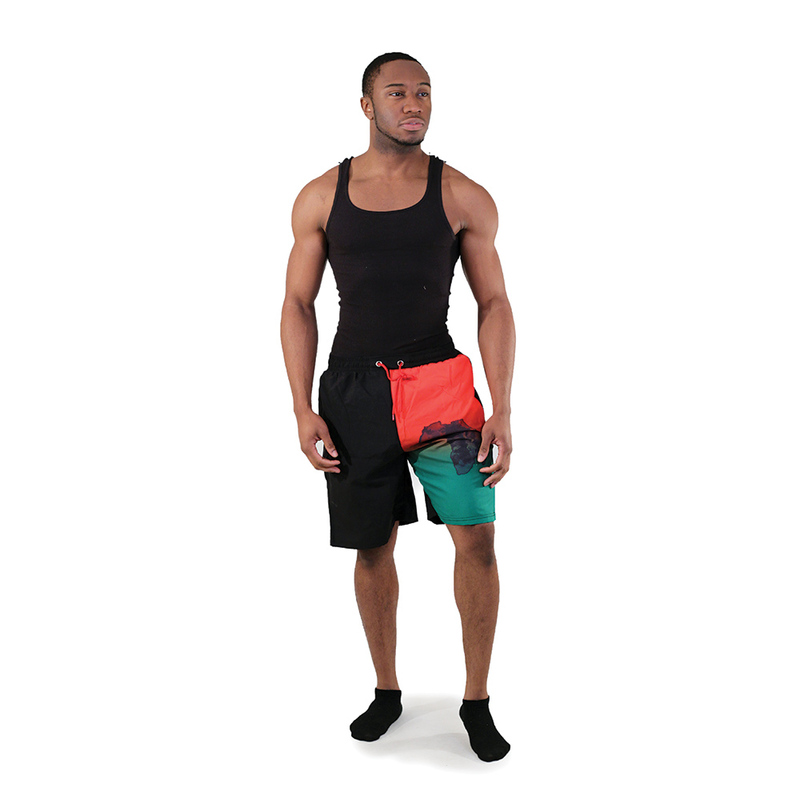 Swim with pride in these Colors of Africa Men’s Swim Shorts. 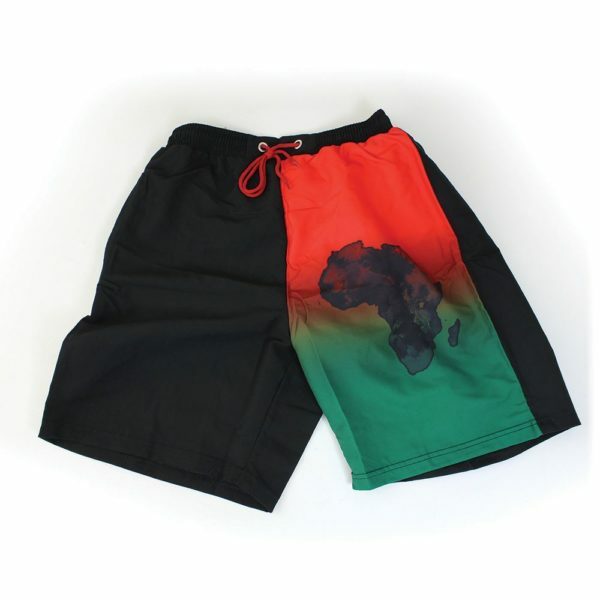 The swim shorts have the black, red and green colors that symbolize Africa. There is also an outline of the African continent on them. They have a drawstring that allows you to tighten the elastic waist. They are 20” in length. Made of 100% Polyester. Wash in cold water.